I had ask my then 7 year old to clean up the train tracks in the living room and was met with tears and,”Uuuhhggg! That’s torture!” as he rolled around on the floor, apparently writhing in pain. It was so ridiculous that I’d usually find it funny, but at that moment I was so filled with anger at his entitled attitude that I barely held it together. 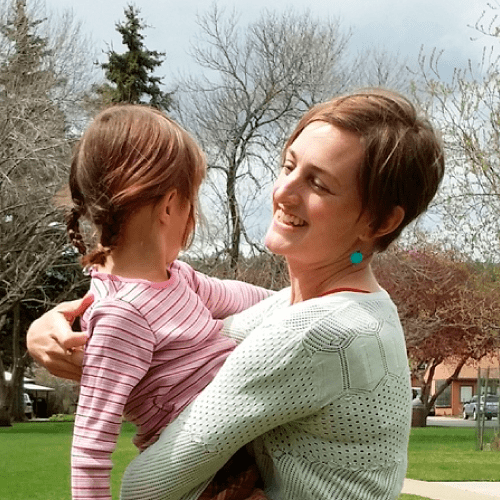 That was about 3 years ago; I had recently made a commitment to “un-entitle” my kids after I realized during a conversation with my best friend that the most difficult part of parenting was that my kids were terribly entitled. They were polite, well spoken and fun people…but I felt buried under the expectation that I would do everything for them. That week I vowed to end the entitlement in our home, and the first thing I felt was a wave of anger. 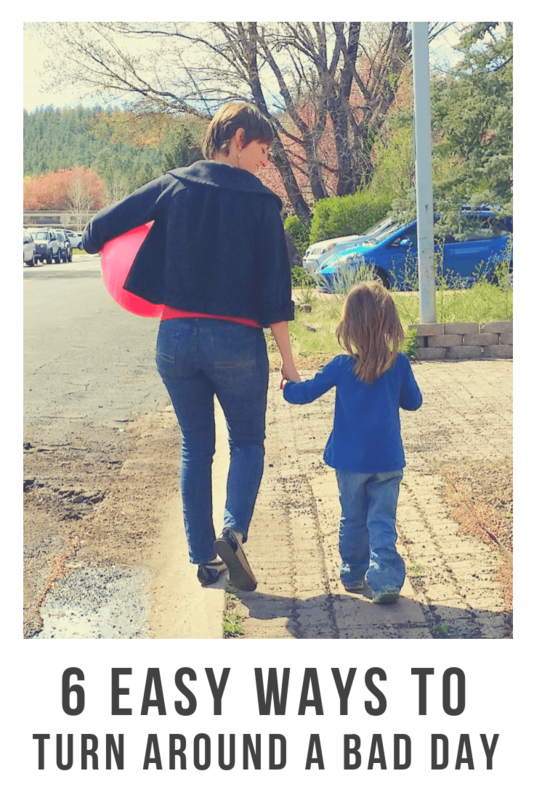 Once I started looking at the issue of entitled kids, it felt like a wall of my own denial about it came crashing down and all of my resentment and anger flowed out. Not only was I filled with anger, I felt ashamed. How could I have gotten this far into parenting and have entitled kids who didn’t help me?! I was running ragged. Our house was always a shambles because nobody helped and the task of getting them to help me felt nearly insurmountable. Since then things have changed a lot around here. I’m not saying I have a household full of responsible angel children, but I feel so much more on top of the entitlement issue. 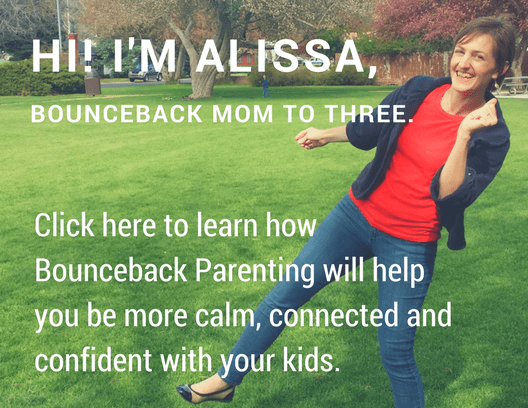 The kids help out and when we fall into a cycle of kids acting entitled or rude, I no longer feel hopeless; I have tools to help me see what’s going on and get our family back on track again. I’m compiling this as a resource for you if you to realize you’ve got entitled kids and would like to see that change. Links to books are Amazon affiliate links, if you purchase through them you support the work I do here at Creative With Kids at no extra expense to yourself. This is the book I wish existed when I first started this journey. This book will be released August 11th – I received an advance copy from Amy. 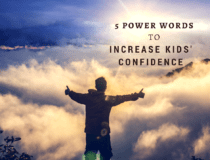 I’ve always enjoyed Amy McCready’s straightforward, practical advice on how to parent positively, and this is no exception. 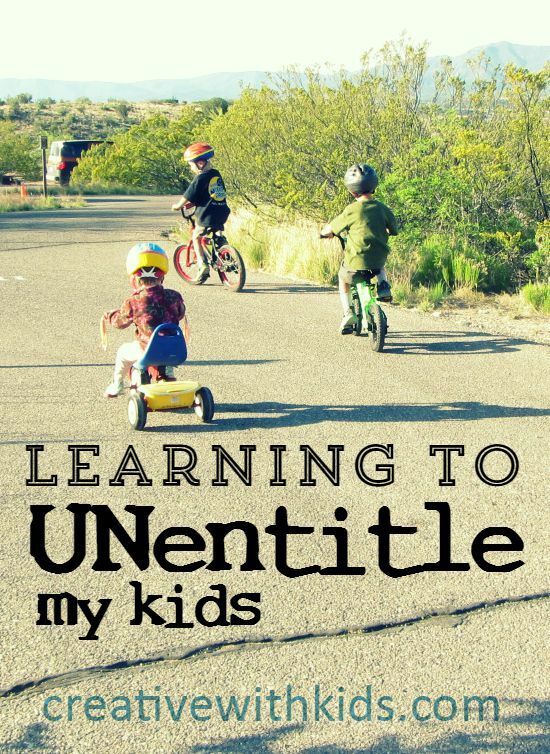 In The Me, Me, Me Epidemic, McCready gives both the tools to help you “un-entitle” your kids as well as the reasoning behind them. (I’m one of those people that needs to know WHY in order to be motivated to do things.) 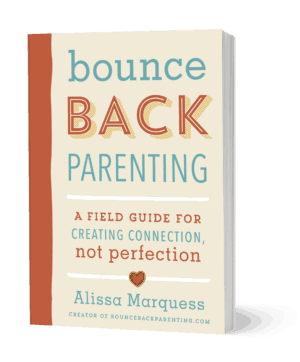 This book also meets my need in a parenting book that you don’t HAVE to read it straight through in order for it to be helpful – you can pick it up, read anywhere in the book and find something useful in a small chunk of reading time. 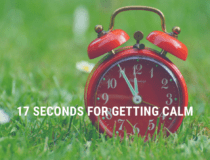 Step 1 – realizing we had an entitlement problem. I told you at the start of this post about how angry and guilty I felt at first in case you’re in that place right now. As I learned more tools, that horrible feeling faded, but it was intense that first week. I had to Let go of my guilt about the entitlement so I could move forward. I had to remember that I don’t have to be perfect, I have to be me – that’s who the kids want. Step 2: Coming to grips with how I was adding to entitlement. I had to stop rescuing them all the time, and I had to learn to deal with anger. 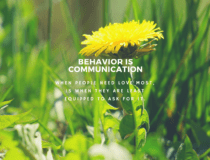 Learning to stay calm if my kids yell at me. 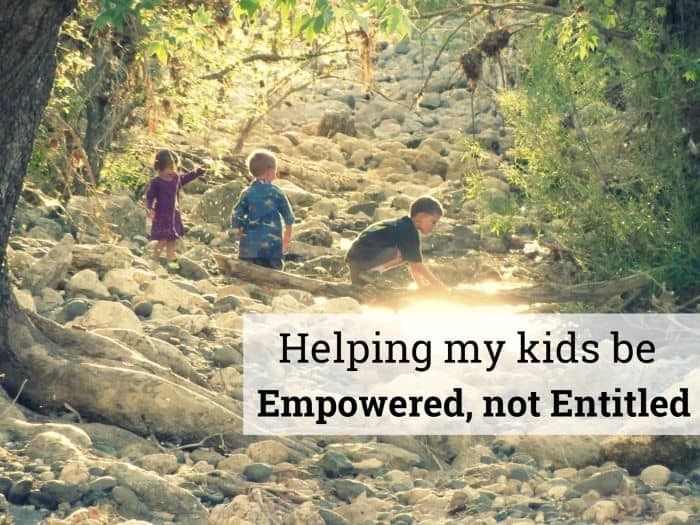 Step 3: Working with my kids to empower and un-entitle them. 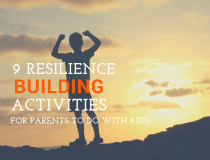 I started younger with chores/family contributions with my youngest, got more comfortable training my older kids on housework, and began thinking of how to help them gain resilience. Want to add more positive and empowering phrases to your repertoire? Download your free printable of 64 Positive Things to Say to Kids here. oh my Gosh I am almost in tears with thanks for putting a name to the “anger” I have had lately towards my own children… Wow. 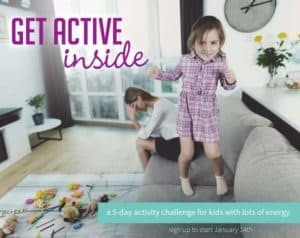 I cannot thank you enough for shedding this huge light on the exact issues I’ve been having at home with my 2 for the last couple years the most! Sign me up! I am over to read all other posts books whatever: just help! Thank you!!! Thank you. I so need this right now….Especially everything in part 2. Thank u immensely! ! U put into words many of my feelings and helped me realize that I NEED to slow down. I am so grateful I came across this. Thank u. Relief and hope. I am caring for my 5 grandkids . I asked for help once from the 7 year old and was told you don’t pay me enough! I find myself constantly having the have this conversation with colleagues. I truly believe this sense of entitlement will be the ruin of society. I think it starts as soon as we find ourselves pregnant and start planning thier future. We give children ownership before they’ve even been born. We even write their name on the wall as if they own it. our parents didnt do that. i’m guilty of it and you’re right–first step is recognizing the problem. great article. I wish I had this when my kids were small! Very wise article! Will pass this on to use with with my grandchildren.